Enter to win one of nine Game Day parties! This Sonoma County wine pairs well with our featured recipe for Littleneck Clams & Chorizo in White Wine. One of our favorite producers and an industry leader in their commitment to sustainable, organic and biodynamic farming. This Old World style Sauvignon Blanc offers subtle minerality and notes of grapefruit and lemon. This wine’s acid is both balanced and integrated, giving it elegant softness. 750 ml. $11.99, save $5. 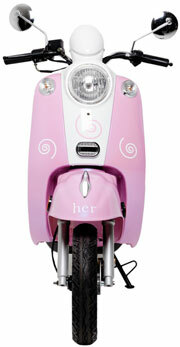 Enter to Win this Scooter from Her Energy Drinks! Enter online for your chance to win! Nine lucky winners will be drawn. We’ve got something special happening at our El Dorado Hills Nugget Market. Come enjoy a special pouring by representatives from Narrow Gate, Mira Flores, and David Girrard wineries and hear more about area’s Bring Out the Barrel weekend, January 29 and 30. You can also purchase your Bring Out the Barrel tickets during the evening’s tasting, 5 p.m. to 7 p.m. For more info about Bring Out the Barrel, visit eldoradowines.org. Prices valid 1/19/11 – 1/25/11. We were just listed #8 in the nation on FORTUNE Magazine’s 100 Best Companies to Work For. Thank you to our amazing associates! “Our associates define who we are,” says Eric Stille, president and CEO of Nugget Market, Inc. “Without the undeniably creative, energetic, upbeat attitudes of our diverse family of associates, we wouldn’t be the company we are today.” We value a family-oriented work environment; one that supports a healthy work/life balance. In turn, the work atmosphere at every level of the company is marked by highly motivated associates with positive attitudes, making for a truly fun and dynamic work place. 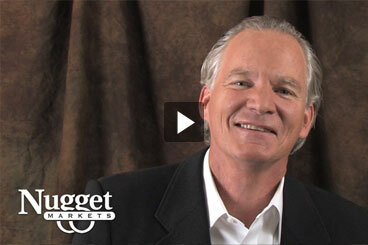 Check out our video to learn more about us. Shellfish — clams, mussels and oysters — are some of our favorite easy-to-use ingredients for winter recipes. They require only a short cooking time, so the dishes they inspire are almost always quick to prepare. When cooking shellfish, always make sure to discard any individuals that do not open up after heating. Compensate for this (and it does happen) by purchasing an extra quarter pound or so. 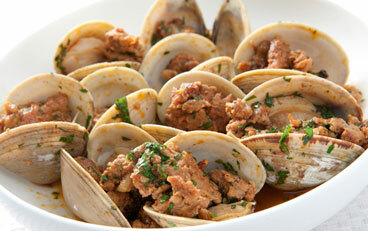 Little Neck Clams are on sale this week for only $4.99/lb., save $1.50/lb. Hate to throw away asparagus ends after you’ve trimmed the stalks? Then use our delicious recipe to turn them into soup! 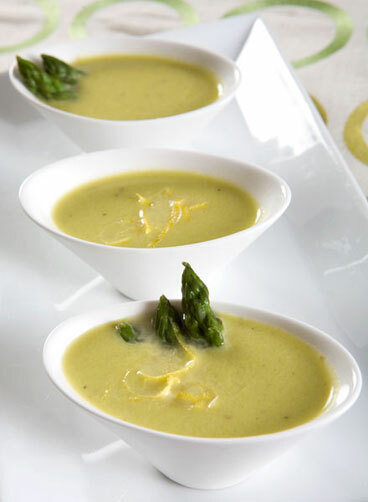 Asparagus ends can be a little fibrous, though, so make sure you give them a good long turn in the blender. We’ve got asparagus below half price this week for just $1.97/lb., save $3.02/lb. 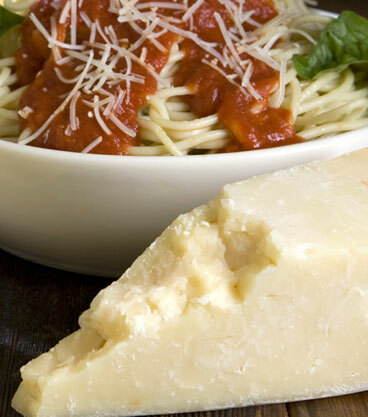 Also known as Reggianito, this imported Parmesan is less salty and milder than the Italian Parmigiano-Reggiano. It tastes delicious when grated on pasta, salads or casseroles. An excellent value: $6.99/lb., save $2. We’re happy to announce a new wine supplier to our stores — one that has a special way of going to market. Small Vineyards deals only with small, artisanal producers, mostly from Italy, and mostly families whose lives’ works are in the bottles they produce. These wines are all hand-harvested, family-owned and earth-friendly. 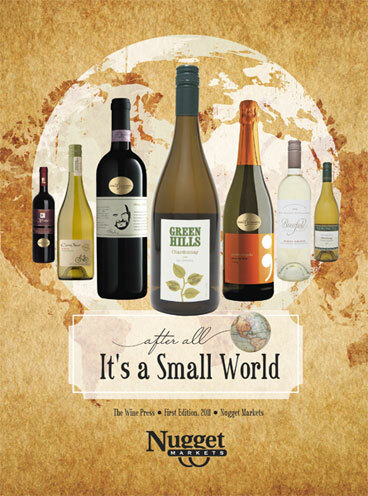 We have expanded on that theme to bring you the wines in this issue. Download a copy or pick one up in stores now. 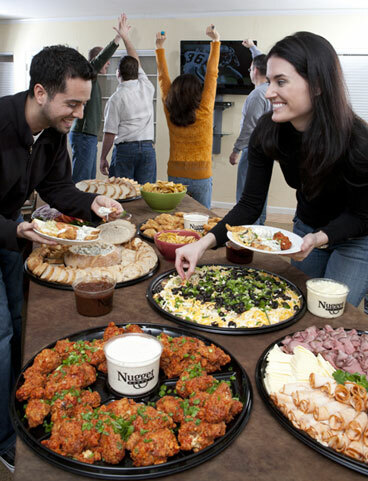 Nugget Markets and Dietz & Watson are partnering to throw you a game day party! Each Nugget Markets location will be giving away one party with all the food and drinks you’ll need to serve about 10 guests. Plus, the grand prize winner will receive food and drinks for about 15 guests and a 50-inch Samsung plasma HD/3-D TV with two pairs of 3-D glasses. Visit any Nugget Markets location to fill out an entry form for your chance to win. Winners will be drawn on February 2. Copyright © 2011 Nugget Market, Inc.